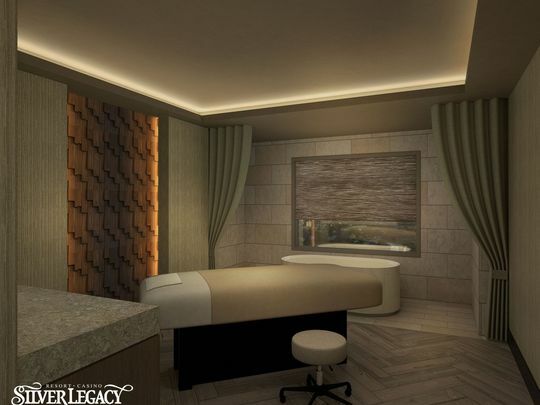 The Silver Legacy spent more than $10 million renovating its former fourth floor - the old pool, hotel rooms, pantries, ice machines, hallways, all of it - into the Spa at Silver Legacy! Get ready to be touched, Reno. Prepare to be caressed, massaged, kneaded, pounded, wrapped. Get set for scrubbing, steaming, waxing, trimming, primping and pampering. 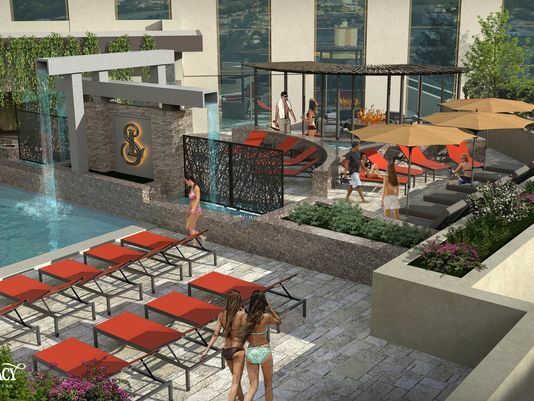 The spa "is a vital component of our three-year master development plan," said Gary Carano, Eldorado Resorts chairman and CEO. 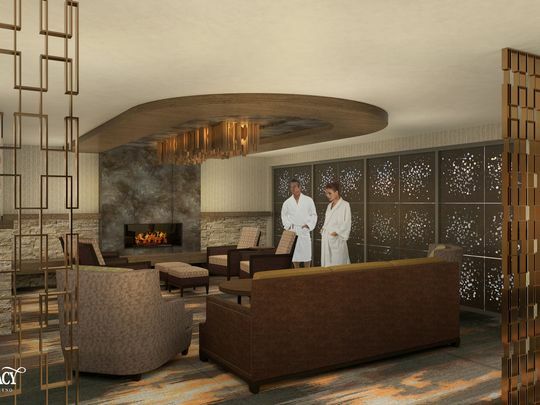 "The spa provides the long-desired luxury element to our fully integrated resort-casino group." Escape into bliss in the 21,000-square-foot spa treatment area. It is surrounded by windows, inviting the natural light to emanate throughout. Or retreat to an oasis of calm at the al fresco natatorium, a rejuvenating swimming pool with an 8,000-square-foot deck area. 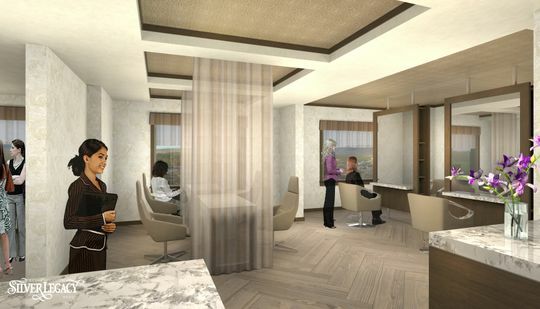 "The opportunity to oversee a spa of this grandeur has been an exceptional experience, and I can't wait to reveal its elegance to the public," said George Powell-Lopez, director of spa and wellness. There are 12 massages, including a hot stone-cold stone communion called a fiery snow massage, a mountain detox massage featuring cleansing oils, and a double down version for two in a couples' room with shower and spa tub. The fiery snow facial pays homage to Nevada's desert heat and Lake Tahoe's chilly waters with a hot cherry pepper peel followed by a cooling mask. Fellas aren't forgotten: the om4men facial deploys hot towels and a neck and shoulder massage. That feels great, bro. (Need a back wax to go with?) 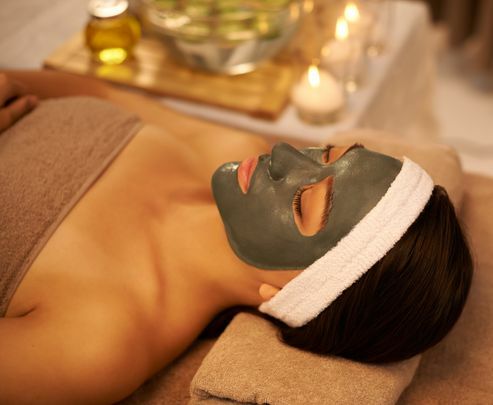 Body scrubs and wraps include the dirty mess detoxifying body treatment, a lollapalooza uniting exfoliation via volcanic pumice and coffee beans with a wrap of black silt clay and extracts of honey and Indian sarsaparilla.